A short while ago I had the privilege of meeting "in the flesh" a couple of fellow bloggers with whom I have interacted over the internet for nearly two years now. I must say I was a bit apprehensive about this. You never know how things might turn out. People can have an internet presence that is completely at odds with their real persona. I'm happy to say that this didn't apply in this case! The bloggers in question are Egretta Wells of both Cottage Creative Living and Paintings by Egretta Wells; and Kelli Boyles of Kelli's Northern Ireland Garden. 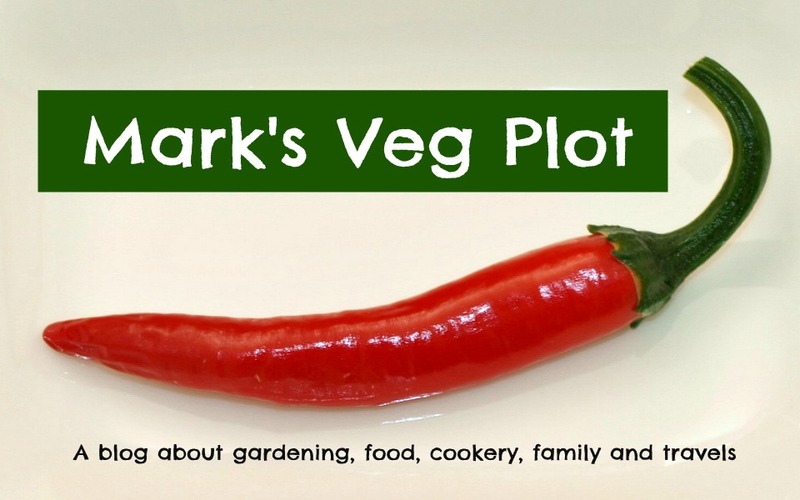 Kelli set up her blog at very much the same time that I started Mark's Veg Plot, so we have had a very similar journey through the blogging world, and we compare notes via blog comments more or less on a daily basis. Amongst other achievements she has recently had an article called "The Art of Gardening" published on the website of Culture Northern Ireland. In this she explains why she loves gardening and how she became keen on it. Well worth a read, because I expect many of you will have had similar experiences. Egretta is a very accomplished artist, working in a variety of media such as watercolours, oils and pastels and she is a generally all-round artistic person - as well as being an enthusiastic amateur gardener. She is forever setting her hand to some new creative venture. She once did a painting of Mallard drake based on one of my photos, which she saw on my blog. I bought this picture from her and it now hangs in my Living Room alongside the original photo. Egretta and Kelli, accompanied by their husbands Bob and Mark, were over in England for a few days, on a coach tour centred on Stratford-on-Avon, from where they were to visit the Costwold hills and surrounding areas, and their proximity was an opportunity too good to miss so Jane and I drove up to Stratford to meet them. Maybe they used my blogposts from earlier this year called "Stratford on Avon" and "Minster Lovell and the Cotswolds" to do some prior research?! Kelli's husband Mark is quite interested in entering competitions (aka contests), which is of course the area in which Jane specialises, so he and she had plenty to talk about too. Just in case you didn't already know this, Jane is the editor of the well-known comping magazine The Competition Grape Vine. If you're interested in this sort of thing, why not visit her website or her blog and find out more? Here's a group photo, taken in the lounge of the visitors' hotel. The container is a re-purposed 1-litre ice-cream tub, and it currently contains approx 500g of cherry tomatoes, which is what I am picking from my 4 plants about every 2 -3 days. Nice to meet you all, Kelli, Egretta, Mark, and Bob. I hope the coach tour turned out well; I hope you liked the Cotswolds area, and I hope to see some pictures of it on your blogs before very long! It has not been a bumper year for chillis - just an OK one. The weather this year has been very strange, and the chilli plants got off to a slow start. Not many fruits have ripened yet, just a handful really. They need more sunshine! However there are plenty of green fruits on the plants, and I am hopeful that most of them will eventually ripen. None of the plants have grown very tall. The tallest is about two feet / 60cm, which is considerably less than last year. The bamboo canes I provided for them have turned out to be largely unnecessary. This one looks a bit camera-shy! These are my "Turkey" chillies. The plants have gone very bushy. The one on the right in the recycled chicken manure tub is the most vigorous of all my chilli plants this year. Its sibling (at left of this photo) is a bit smaller. They now have dozens (hundreds?) of fruits forming. Seeing them develop I now think they look uncommonly like the ones that were regularly served at Breakfast in the hotel where we stayed on our holiday last year. I wonder why?? [The hotel was Bordubet, close to Marmaris in Turkey]. I think our mild UK weather is also partly to blame for the lack of heat in many of my chillis. I'm sure that some good strong sunshine and high daytime temperatures would add a bit of zing to them. No chance of that this year, I'm afraid. Yes Folks, it's me! 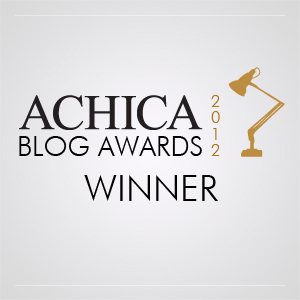 I won the "Gardens" category in the recent Achica.com Blogs Award. I owe this honour to you, my readers. Thank you very much indeed for your support! The prize for this award is £500 to spend on the Achica.com website. We will have lots of fun choosing what to get, because the range of merchandise is huge and very reasonably priced.﻿ However, for me there are a couple of additional benefits. Firstly I think the competition may have given my blog a bit of extra visibility, and to a different type of audience too. 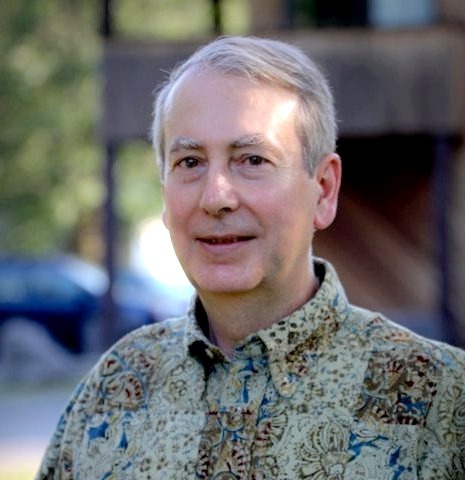 Secondly, I have been offered the chance to write a Guest Post for Achica's blog, which will be another great opportunity to widen my readership. This haul included Runner Beans, French Beans, Tomatoes, Cucumbers, Chillis, Sweet Corn and an Aubergine. No matter how hard you try, you will inevitably end up with a few beans that don't develop properly. They produce one, or possibly two, beans at the end of a scrawny pod that has scarcely any flesh at all. Unattractive as they may seem, you really do need to pick these pods, because if you don't the plants will concentrate on bringing those seeds to maturity and will not produce any more pods for you to eat. I have them ripening on the Dining-Room table now, surrounded by other, riper, specimens in the hope that they will take the hint and adopt a nice red hue. Thanks for all your suggestions for cooking with green tomatoes by the way - much appreciated. I especially like the sound of the Southern Fried ones! Here we have "Incas" at left, "San Marzano" in the middle, and "Speckled Roman" at the right. These are all Plum types, but aren't they very different? The 'navel' of the Speckled Roman is particularly distinctive. Yep, there's more to come. Who was it that wrote in a comment on my blog a few months back "Don't bother trying to grow Aubergines in the UK. They never do well and you'll be lucky if they set any fruit" (or words to that effect)? Well I don't care who it was, because I have proved them wrong! My two "Pingtung Long" Aubergine plants have done much better than I expected, and they have both now delivered their first mature fruits. And now the other plant has produced its first one. This fruit is over 12" / 30cm long. The plant that produced it is groaning with further fruit - about another dozen or so, I would say, at various stages of their development - and that's not counting the ones still at the flower stage. Now, you may recall me saying that we are not keen on eating Aubergines, but that we were prepared to try them again with home-grown ones. Well, we ate the first one the other night in a Filipino-style beef, vegetable and peanut dish. It was actually quite pleasant. There was no bitterness, and the skin was not tough. And of course you have already read about the Aubergine relish I made... So, I think it is safe to say that we will be trying a few more dishes that include Aubergines. The key to my success may have been the use of my trusty plastic mini-greenhouses, in which the plants were raised in their early days, successfully protecting them from the atrocious weather. My other unexpectedly good result has been with cucumbers. Last year my "Marketmore" outdoor cucumbers were a complete washout, producing only one solitary (and very bitter) fruit. This year I switched to a Lebanese or cocktail-type cucumber, an F1 variety called "Iznik". Early in the year I thought I was going to have another total failure, since the plants struggled even to survive in the cold wet conditions we endured during the Spring. Starting from 6 seeds, I eventually ended up with 2 plants, both of them looking pretty sickly. With the advent of warmer conditions though, they bucked up a lot. I have already harvested 12 cucumbers, and they have been really nice - firm and crunchy without being in any way tough. I haven't been able to get a decent photograph, so you'll just have to take my word for it that there are loads more cucumbers to come. Great! I think they are wonderful, and I will definitely be growing this variety again. Maybe next year I will delay sowing until about the beginning of May though. This year my early sowing was not a good idea, and with warm conditions cucumber plants grow very rapidly. One of the things I learned when I was in the Army was the principle of "Defence in Depth" - in other words don't rely solely on one line of defence, but have several. These days I apply this principle to my gardening activities.When I sow some seeds I often sow them in more than one container, and I often sow some more of the same type a couple of weeks later. If one of the batches fails for any reason, the other may do well. I would like to show you how I have used this principle in relation to next year's Purple Sprouting Broccoli. When I sowed my seeds I sowed far more than was strictly necessary. I usually only grow 6 Broccoli plants (as many as will fit in one of my raised beds) but I sowed about 50 seeds of two varieties, in two large pots. When they were at the small seedling stage I transplanted them to indivdual pots. Then when planting time came I was able to select the best 3 specimens from each type. I didn't discard the rest. I kept them as spares. Unfortunately, soon after planting out, the Cabbage Root Fly struck, despite the fact that I had applied nematodes and used brassica collars. One of the "chosen six" was badly hit, and another was affected but less seriously. I was getting ready to deploy my Reserves, but then many of the reserve plants died too! At this point I was very worried and I thought I would lose the whole lot, so I immediately sowed another batch of seed, even though it was really too late in the year for this. A desperate measure you could say, but having Broccoli to harvest in the early Spring is very important to me, so I'll stop at nothing! You'll laugh when you hear what else I did.... I unpotted my Reserves, manually picked off the Cabbage Root Fly maggots from their roots, and re-potted the plants in fresh compost! As a further remedial measure I gave each plant a good squirt of multi-purpose bug-spray down near its roots. I don't know whether this was the deciding factor, but somehow many of the plants recovered and are surviving. Five of the "chosen six" are looking nice and healthy now, and even the one that I had thought to be totally doomed is still alive (albeit a lot smaller than its peers), so maybe my late-sowed batch of seedlings will not be required after all. The one at the left is the one that nearly died. The moral of this tale is that I had lots of different options, and I felt sure that at least one of them would succeed. I know that not everyone wants to go to this amount of trouble, but it's an approach that works for me, especially since I am growing things in such small quantities. I am lucky in that my little garden is right outside my back door and I can easily keep an eye on it. Perhaps if I had to trek to the other side of town in order to tend an Allotment I might not be quite so meticulous? Until recently I would have said that I did not like Aubergines. Despite their obvious visual attractiveness, in the past I have often found them to be bitter and tough-skinned. However, the turning-point for me was an Aubergine dish, a sort of relish, that I encountered whilst on holiday in Turkey last year. Hesitantly trying a little of it just because it was there (served as part of a mixed starter), I had to admit that it was quite pleasant - especially when dipped-up with some of the delightful local flatbreads. So this year I have had a go at growing Aubergines in my own garden - with considerable success, I might add! Encouraged by the good growing results I have finally plucked up the courage to try cooking with Aubergines, and I have made an attempt to re-create the dip that we liked so much in Turkey. Here is my recipe (serves two). Serve with flatbreads or pitta. 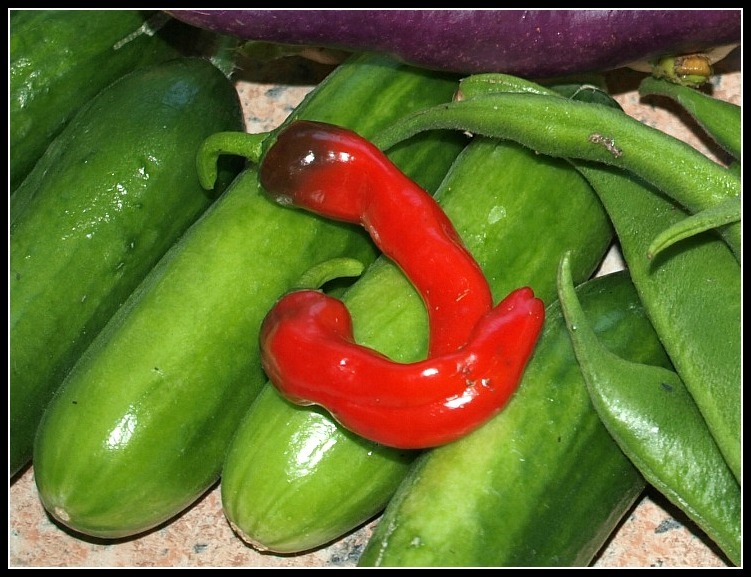 (we had ours with home-made Lahmacun), and some crunchy home-grown Lebanese cucumbers. The fortuitous discovery in our freezer of a half-finished bottle of Ouzo further enhanced our meal! My 5 potted Blueberry plants gave me a good crop this year - about 1kg of delicious berries. Actually, this amount came from only 4 plants, because the fifth one is still tiny and was acquired only in April this year. Nevertheless, I think I could do better. The 4 mature plants had gone very "gangly" - tall and top-heavy - so I thought it was time to prune them. I have chosen to do this now, immediately after their fruiting season has finished, so that they have a chance to produce some new growth before the Autumn sets in. I left in place all the young pliable stems, but I removed most of the woody ones. Two of the plants didn't have any young stems coming out of the base of the plant; only bushy growth at the top of some very thick old wood, so I removed most of the old stems, leaving one or two behind. If new basal growth appears, I will remove the last of the woody stems next year. I also trimmed the bushy growth at the top of these old branches. I expect more new shoots will soon appear. In order not to put the plants under too much stress I am being very careful to keep their compost moist, and I have placed their pots in pot-saucers to minimise water loss. I'm not sure whether this is the "approved" method of pruning Blueberries, but it's what feels right to me. I'll let you know how things go. A few days ago I wrote about our recent trip to the city of Vienna, and I described some of the sights we saw and attractions we visited. Now I am going to home-in and give you some detail on my favourite attraction - the Naschmarkt. The Naschmarkt is an area of the city devoted to the sale of food and drink. It has a huge succession of stalls - some temporary, but mostly permanent- which sell ingredients of every conceivable nature, both local and exotic. The market extends over 1.5km in length, with a triple row of stalls. Two rows sell ingredients, and one row is devoted to restaurants selling prepared food. The market is in a street called Linke Wienzeile, right next to the Kettenbruckengasse U-Bahn station on the U4 Line, so it is very easily accessible. This is a market frequented by locals and tourists alike. The locals genuinely use it for their everyday shopping, whereas the tourists do what we did - ogle, and take photographs. On the other hand, I suspect that most of the locals don't often eat in the restaurants, but the tourists usually do. Many of the stalls sell "conventional" fruit and veg - but what fabulous specimens! Every one of them seemed to be in A1 condition. There were dozens of stalls selling ready-prepared goods (hors d'oeuvres etc), such as tomatoes, peppers, courgettes, dates etc stuffed with cheese, figs, walnuts, prosciutto etc. These "Birds Nests" seemed to be made of Baklava and decorated with Pistachio "eggs". One of the least attractive items from my point of view was the Baby Octopus and Calamari stuffed with prawns (I don't eat fish or seafood). The owner of this stall was proudly handing out samples of his Tomato vinegar. Some of the stall-holders had gone to great lengths to display their wares attractively (No, that is not a live chicken). All in all, quite the most comprehensive and mouth-watering display of food items I have ever seen. If you are a Foodie, you must NOT visit Vienna without going to the Naschmarkt! I just wish it was local to us so that we could actually buy some of the items we saw.